The Soviet aircraft industry of the 1940-1950 period has been incredibly productive, while Russian manufacturers, stimulated by the huge needs stressed by World War Two, competed with each other in design and creativeness. 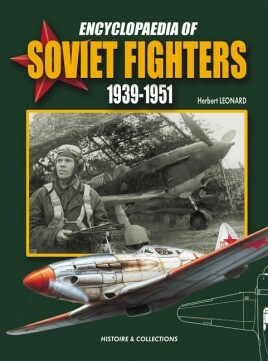 This book offers an exhaustive coverage, by chronological order which is one of its original features every single Soviet fighter of the period, from obscure projects which did no go off the drawing table, to the best known mass-produced models. ...at the top of the pile in terms of production value and depth and breadth of coverage of its topic. It's as complete as possible given the state of the Russian historical resources and its size.